A few years ago, I started my gaming passion when I discovered websites like BigFishGames.com, Playfirst.com and Gamehouse.com allowed me to play really cool games online. Now, I don’t refer to games such as Pacman, Solitaire or MineSweeper like the good old days, but I mean games with visuals and music that totally swept me off my feet. The game that became my instant favorite was Virtual Villagers, which I have reviewed here. I am adverse to blood and gore, and I didn’t like brainless games where I merely stared at the computer screen to match-three, or stared hard to look out for hidden objects. Virtual Villagers appealed to me because it was just so refreshing, and cute - I also had to use intellect and strategy, which I totally relished. Being a student with a very limited budget, I am very appreciative of BigFishGames that allows me to play their games free for one hour before I decide whether or not to purchase them. 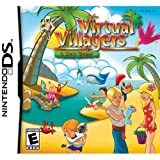 One feature about virtual villagers that I really didn’t like was that it was too slow moving for a young person who could not afford to buy the full version of the game. In fact, one of the ways to cheat on your game was to quit the game, and adjust the time on the computer so that when you reopened the game, your characters would have grown up faster and you would have many more points to spend. As you can guess, when the game shut down on me because the one hour of free game time was up, I was always devastated. Thankfully, there were new versions of Virtual Villagers, and I got to play those. Soon after, I discovered Gemini Lost. Gemini Lost was very similar to Virtual Villagers, although there were a few differences here and there. While Virtual Villagers was about a tribe that was shipwrecked on an island, Gemini Lost was about building a machine to enable the characters to go back. One of the cool features of Gemini Lost was that the game pace was much faster than Virtual Villagers. This does not mean that you will be able to finish a game in a few hours - but what this means is that you get a much higher sense of satisfaction when you play the game, as you can tangible experience what the characters are doing. Another of my favorite features about the game was that you could set the preferences of a character eg. if he liked to build, or farm... and when that character was engaging in his favorite activity, that character would move twice as fast. It was so cute and hilarious to watch these characters buzzing around my screen! I have to mention that there is a really adorable way you get characters to marry each other - where you ring the bell and all the characters gather together..... I shan’t spoil the game for you. 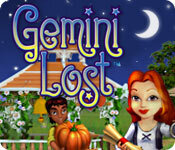 Gemini lost also has children friendly and adult pleasing visuals, with enchanting music. The animation is superb, and better than Virtual Villagers, making the gameplay really rewarding. 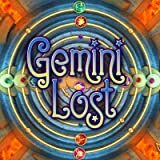 If you are wondering who Gemini Lost might be suitable for, I’d recommend it as a gift to anyone (young and old) who enjoys stimulation games, and strategy games. Girls might tend to like this game better than boys because of nature of this game, that emphasizes cooperation, hard work, fun, community, not violence and killing, or shooting. If you click here, you’ll go to the Big Fish Games website with Gemini Lost. It is available for both mac and pc users, and everyone and anyone can download it for free to play for one hour. I really really want to recommend this game to you! I used to really enjoy the virtual villagers games. I almost forgot about them until stumbling across this. This new game sounds like fun.